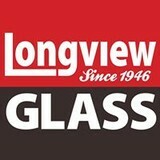 Longview Glass provides commercial and residential glass installation and service for northeast Texas. The residential division works with area home builders, architects, interior designers, and home owners, to provide a variety of glass installation needs such as a wide range of custom and decorative glass, beveled mirrors, table tops, shower units, shelves, cabinets, patio doors, plate glass and insulated windows. Renfro's Glass & State Inspection inc.
We're a local family owned business that has proudly been serving the deep east Texas area for 40 years! What can a local Noonday glass company help me with? If it’s a major home glass repair or replacement, the Noonday glass company should work directly with your insurance company to help bring down costs for you, if applicable. Find Noonday glass companies on Houzz. 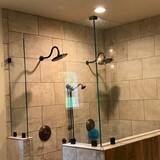 Narrow your search in the Professionals section of the website to local glass, mirror and shower door services in Noonday, TX and read reviews and ratings to find one that fits your needs.